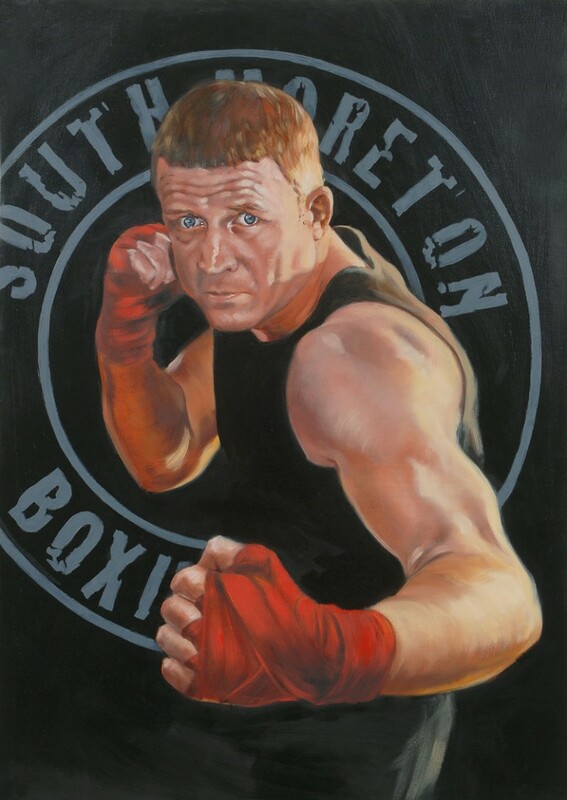 John is owner of South Moreton Boxing Club where I have exhibited twice. I have given this painting quite a graphic feel by placing him in front of the club logo. I must have been influenced by all the Marvel Comics that I read as a child! It was quite an unusual thing for me to do but I feel that it works.